"Ninety years ago, when these events occurred, parents didn’t worry so much about children being outside on their own. From a young age they walked to school alone and visited friends or went to the store to fetch a tin of baking powder or a spool of thread. But even then, children were not supposed to be out at midnight. Sadie did feel bad about deceiving her father, but she couldn’t see any other way." I don't know about you; I love to read books that seem implausible while also being remarkably plausible. Kids do, too. Such books make them feel less vulnerable, I think. I finished reading this fine book on Sunday while I was watching the ball game, and wanted to get right to telling you about it. Many readers will find it worth their time. Sadie Menken lives with her father, the pieman. 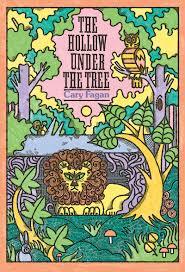 They live in Toronto in 1925, at the very time a circus train car derails and a wary, frightened lion is let loose to find shelter and protection from the elements. That lion makes its new home in High Park which is very near where Sadie lives. Sadie loves the park but doesn't have time to visit it regularly. Her job after school is delivering pies to her father's many customers. Her final stop each day is at the Kendrick family mansion. There she meets the young boy of the family, Theodore Junior. The two become firm friends. One of her few visits to the park has Sadie coming face to face with the lion, who has found the perfect hiding place in a 'hollow under the tree.' He is hungry, and Sadie begins trading pies with the butcher to get scraps of meat to feed him. The arrangement doesn't last long; Sadie must find a new source of food. That is where Theo Junior becomes an accomplice in feeding and in keeping quiet about the new park resident. Together, they visit their new friend and work to keep him a secret. Miss Clemons, a retired librarian and newspaper enthusiast, boards with the Menken family and loves to share news items. One is of the monster that is living in High Park and killing animals and birds at will. A police search reveals no monster, thanks in large part to the action taken by Sadie and Theo Junior, who have found the lion a temporary refuge in the Kendrick garage. Until a group of school bullies make a startling discovery when harassing Theo and Sadie late one evening. What happens next will bring smiles of delight to readers, and a sense of contentment. This is an amusing and entertaining story that is sure to please readers wanting books to read on their own. It moves along quickly, and offers numerous topics of interest.